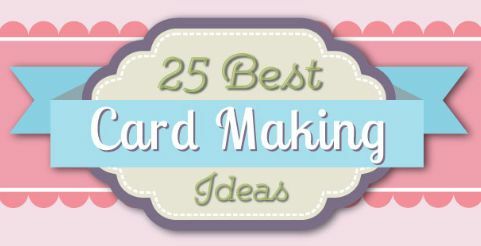 I do love sharing my ideas with you and for those who happen to like my card designs, I'm excited to introduce my e-book, 25 Best Card Making Ideas. If you are not satisfied with the book, simply request a refund within 60 days of the purchase date. In this book, I’m sharing 25 of my favorite and best card ideas. You’ll discover shaped cards like purses and cupcakes. 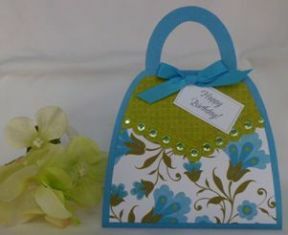 I feature ideas to make quick and simple cards and ways to repurpose and recycle old cards. Create unique and beautiful handmade cards. 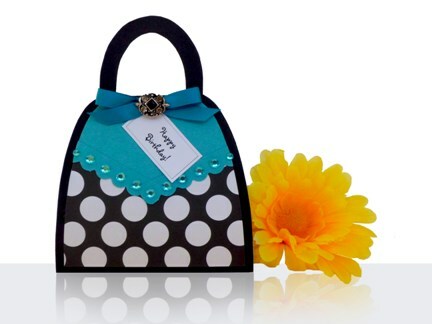 Give a purse card to family, friends or co-workers and they'll cherish it. 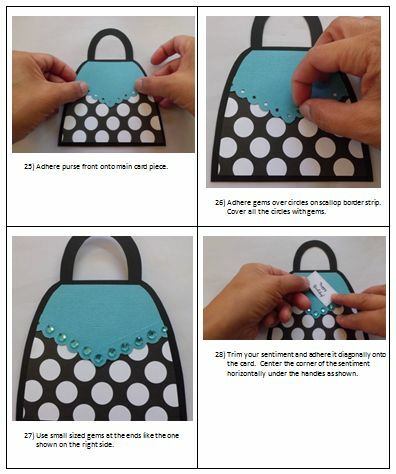 Click the yellow "Order Now" button and you'll be able to get the references you need to make this cute purse card immediately and there is no risk. 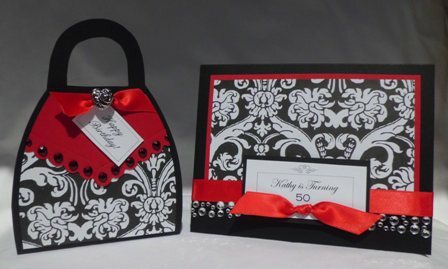 Who wouldn't want a purse card? 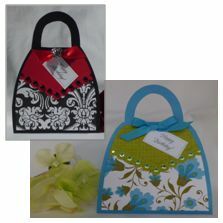 Pick your own paper colors and create a purse masterpiece of your own using my purse pattern. The possibilities are almost endless. I’m not only offering my unique patterns but also providing you with step-by-step pictured instructions on how to make these creative cards. There's so many occassions to give greeting cards and now you can create unique handmade ones so start making beautiful cards for family and friends right away! Inspiration for my cards come from all over. This particular thank you card came from a picture I found on Pinterest. I loved the use of yarn and the colors so I incorporated a similar look and technique of wrapping yarn around a shape. For my card above, I used embroidery yarn so the heart wasn't so bulky. These are the types of ideas you can find in my book. INSTRUCTIONS - you will get step-by-step instructions with pictures to help you create the cards easily. PICTURES - I provide pictures of the card created in two versions. That way, you can see different ways to coordinate the paper and colors. SENTIMENTS - For each design, you'll get a full page of sentiment designs with sayings appropriate for the featured card idea. They can be used to make cards for other occasions like birthday and thank you cards. 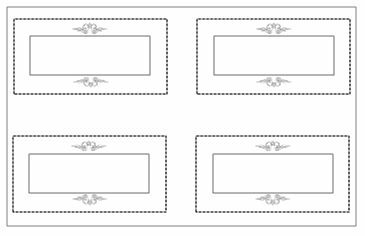 BLANK SENTIMENTS - you will recieve a page of blank sentiment designs you can customize. Use your own stamps, rub-on letters or just handwrite your personalized message. 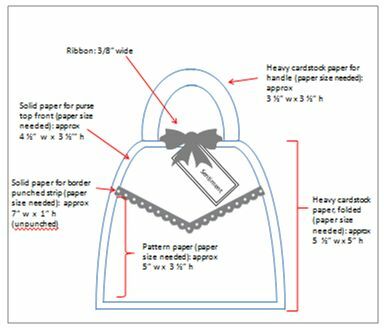 PATTERNS - you will recieve custom patterns, if applicable to card. These are patterns I've created myself so you won't find them anywhere else. With my book you won’t regret your purchase because you’ll be able to see examples of what the card looks like and I teach you how to make the cards and the different techniques for a variety of custom made embellishments I’ve created. You’ll know exactly what the card should look like so there shouldn’t be any surprises…unless the surprise you create is on purpose. I create two versions of the same card, so that you can see different ways to coordinate the paper and colors. It's always nice to see different colors to help you try different designs. With each sketch, I include measurements of the different pieces of the card. That way, you don't have to guess as to what size to cut the paper or other materials. 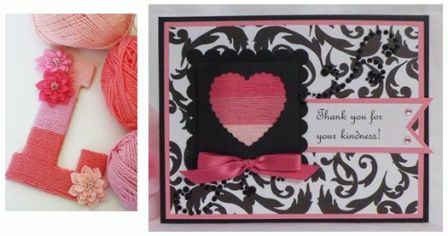 I include step-by-step instructions with pictures to help you create the cards easily. Many books provide written instructions but they often leave you guessing at what exactly to do next. I include a full page of sentiment designs with sayings appropriate for the featured card idea. 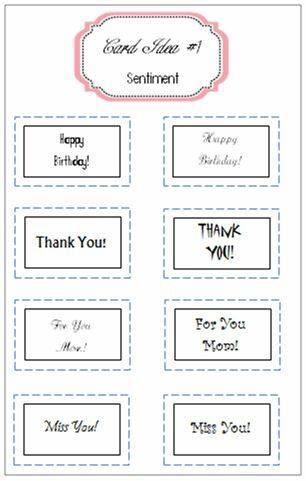 They can be used to make cards for other occasions like birthday and thank you cards. You can even use these for gift tags or other paper crafts. There are almost 100 pages of sentiments! 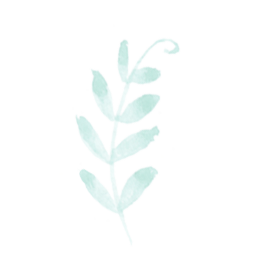 You will recieve a page of blank sentiment designs you can customize. Use your own stamps, rub-on letters or just handwrite your personalized message. You will get a list of tools and materials needed to make the featured card. Oftentimes, I share what brand and style of the tools that I'ved used for the different card ideas. 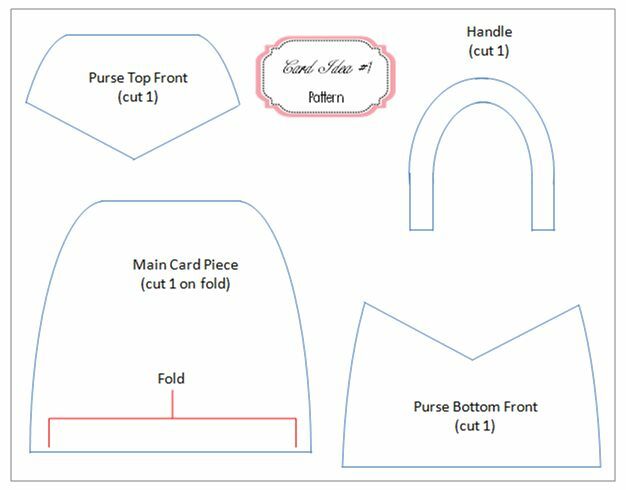 If applicable, I include custom patterns, such as this pattern for the purse card above. These are patterns I've created myself so you won't find them anywhere else. For $29.99, you can download the book today and get instant access to the best card ideas. Whether you live in the U.S.A, Australia, Great Britain or Canada, you will recieve your book immediately. It will take just a few minutes to download over 320 pages and you will need Acrobat Reader on your computer to be able to read the book. 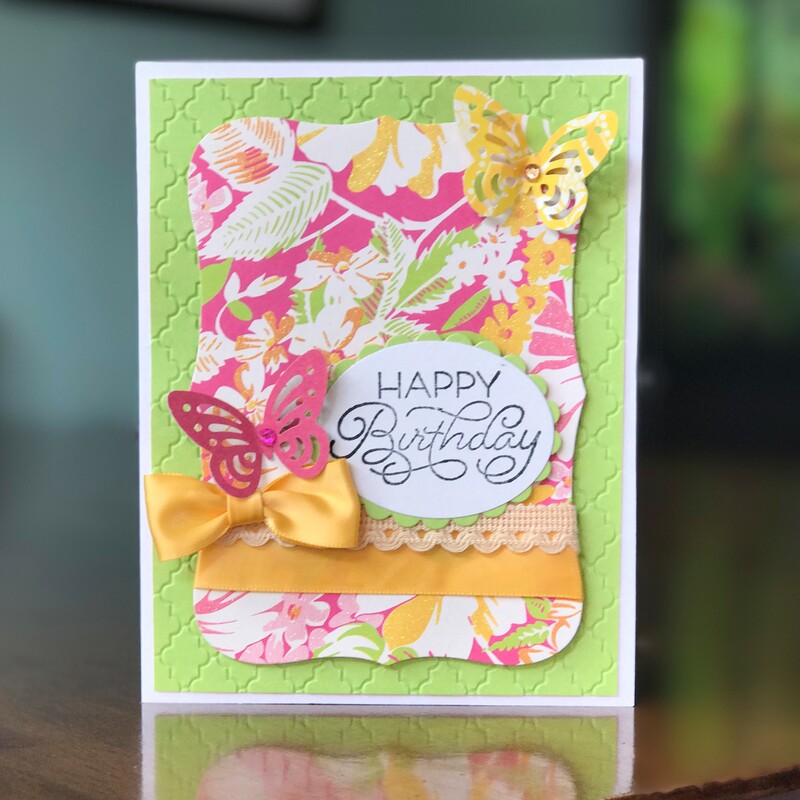 Many card makers around the world have been enjoying my card ideas and you too, can join those who have had the opportunity to make beautiful handmade cards like this card idea below. 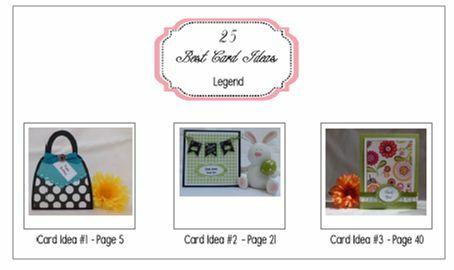 25 Best Card Making Ideas is a book with over 320 pages of materials and references you’ll need to create a professional looking handmade card. 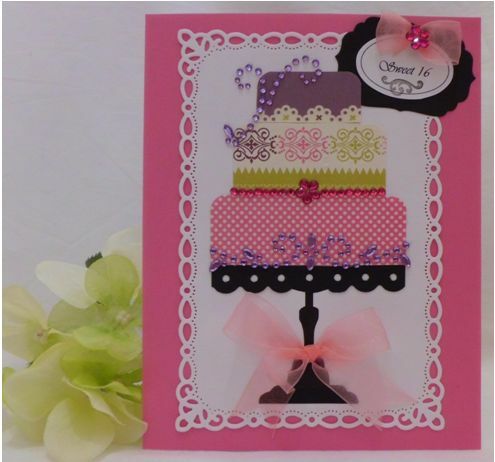 CONTACT ME: you can reach me at cardmakingcorner@gmail.com if you have any questions about 25 CARD MAKING IDEAS. GET STARTED MAKING YOUR BEAUTIFUL CARDS TODAY! 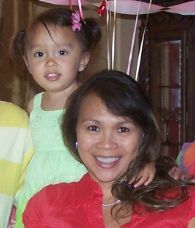 I am innately a creative person and I am so busy with being a mom, wife, and having a career, that I don’t have as much time as I’d like to be able to be creative. I needed an outlet and knew it was a matter of time before I would burst. After a birthday party I hosted, I needed to write some thank you cards. Instead of running out to the store and purchasing a box of ready-made cards, I decided to use the scraps of paper I had left over from decorations I made for my niece's and nephew's graduation party. Being one to not waste anything, I had saved the scraps thinking that, one day, I might have the time to make something from all these left over pieces of paper. So with scissors and glue stick in my hand, I plugged away and made my very first batch of handmade thank you cards. Granted, these aren't the most glamorous cards but I forced myself not to purchase any additional supplies or materials since the objection was to use up scraps of materials I had stored for so long. After making these cards, I was hooked and, voila, my card making addiction, I mean, hobby was born. I was pleasantly surprised at how pretty cards can be made with such little tools and material. Ultimately, I fell into the card making addiction of buying the latest and greatest machine or tools. Luckily, I have exercised enough self control that I buy supplies that I think will be versatile and have created styles and designs that will translate through time. This book that I’m happy to be sharing has some pretty cool ideas and I think you’ll enjoy perusing through the pages. This collection of ideas was inspired by things I may have seen on the web, magazines or even a sticker. I may have also seen someone else’s card idea but gave it my own unique spin. Taking the time to create these ideas, providing instructions and laying them on paper is time consuming so I hope I can transfer what I've created and save you at least a little bit of time in creating your handmade card masterpiece. 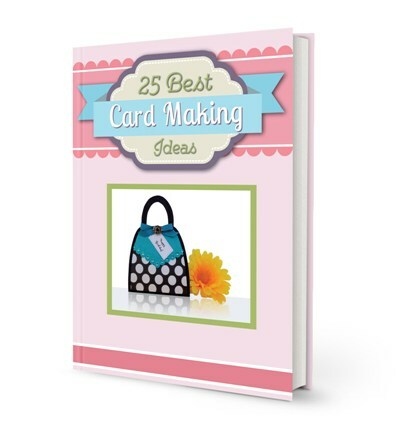 25 Best Card Making Ideas is a book with over 320 pages of materials and references you’ll need to be able to create a professional looking handmade card.